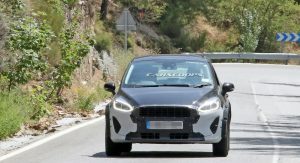 Ford is working on an assortment of new crossovers and spy photographers have snapped a mysterious test mule wearing a Fiesta body. 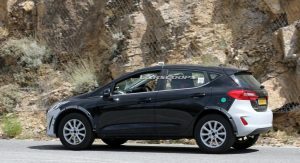 Little is known about this particular prototype, but the model appears to be a chassis development mule for a new crossover. 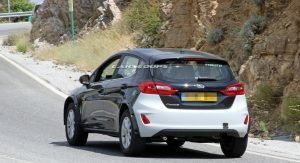 There’s no word on which model the prototype previews, but it has more ground clearance than the Fiesta Active. 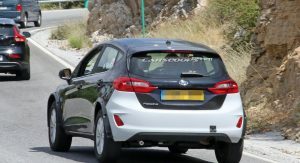 The prototype has also been equipped with extended wheel arches that indicate the model has a wider track. 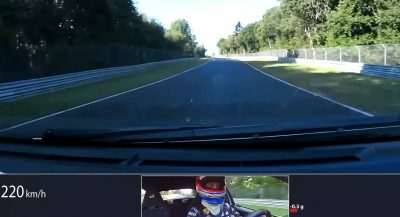 There isn’t much else to see, but the prototype has some pretty meaty tires with a thick sidewall. 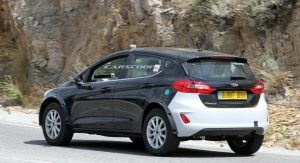 There also appears to be a significant amount of room for wheel travel even on the makeshift Fiesta body. 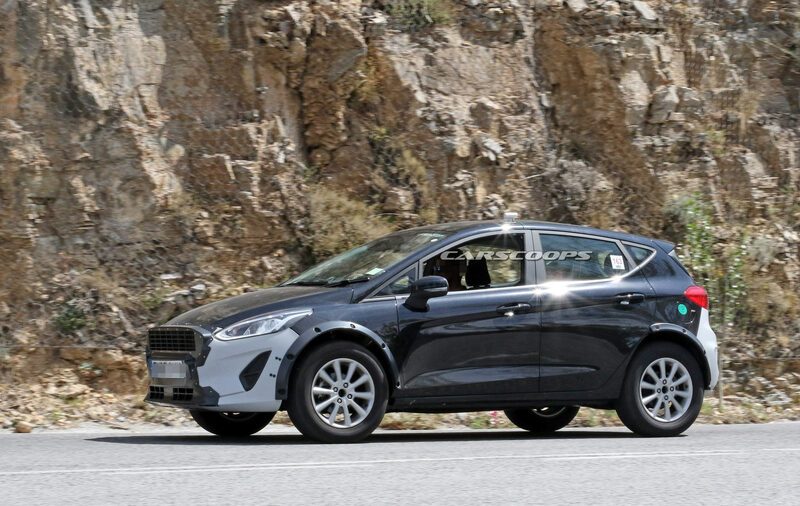 While there’s no word on which model Ford is working on, two possible choices stand out. The first is the EcoSport which dates back to 2012 despite its recent arrival in the United States. 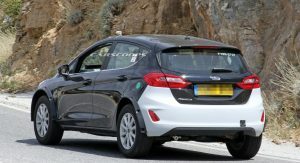 The crossover has traditionally been based on the same platform that underpins the Fiesta so it makes sense that a mule for the model would sport a Fiesta body. 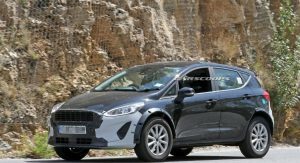 Ford also introduced the redesigned Fiesta two years ago, so it’s not too surprising that a new EcoSport is in the works. 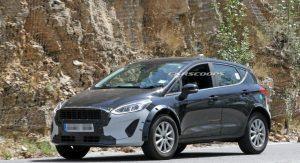 Another possibility is that the vehicle is a test mule for the highly anticipated Baby Bronco. 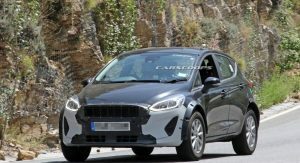 Ford has been tight-lipped about the model, but previous teaser photos have shown the crossover will be four-door model with a short hood and a flat roof. 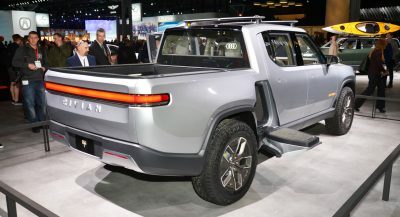 The crossover also appears to be significantly smaller than the 2020 Bronco. 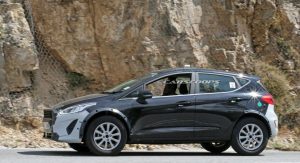 However, previous reports have suggested the model will be based on the same platform that underpins the new Focus. This indicates the model will be larger than the prototype seen here. The next EcoSport needs to be a HUGE improvement over the laughing stock mess that the current one is. 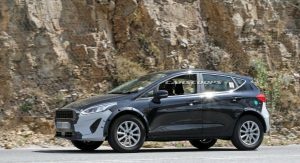 My first thought was “this is even worse”, but as the article states, it’s on a makeshift Fiesta body. Not much to see, or accurately comment on. Another non-story. 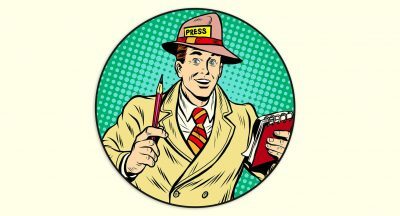 Agree the current “Echosport” is a pos. 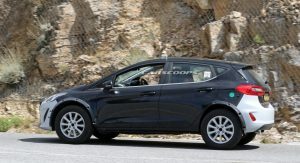 It would be nice if the IIHS would test more of the Eco-Sport head rests. NO crash test numbers yet. But the head rest is GOOD. I don’t mind the ecosport at all. It’s good for what it is. It’s also absurdly overpriced. Fix that and you’ve a nice entry level vehicle. No it isn’t, it is terrible unless you’re only comparing it to a Mokka/Trax or a Mitsubishi. Only then is it merely okay. It is a vehicle designed for developing nations, and it shows. Look at a CX-3, HR-V, T-Roc, Kona, etc. They are all worlds better. Enjoy your horrible resale value. 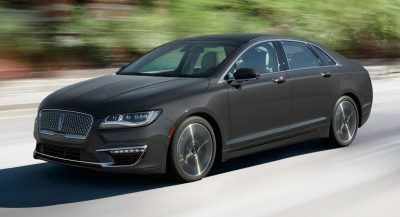 Will you be parking your new Genesis with monthly payments in a garage you’re still making payments on while telling everyone you can’t afford health insurance and that’s why you need a government subsidy? What are you talking about? 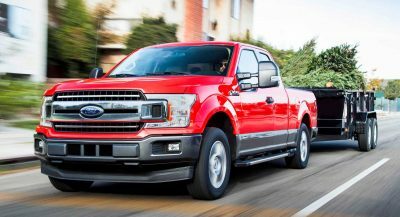 The 5-er is in the top three fastest depreciating mass market vehicles sold in the US. There isn’t a single Genesis product even in the top 10. You’ve got no idea of what you’re talking about. So you don’t have to criticize the EcoSport to be ugly! It’ll be sold in Mexico as well! It looks worlds better than what they have now if it truly is an EcoSpurt.